CREA ACT® is an advanced pre-exercise supplement containing a specialised formula of creatine, L-citrulline malate, β-alanine, branched chain amino acids (BCAAs) and L-arginine, which work synergistically to maximise the positive effects of training. CREA ACT® may help to improve exercise performance by increasing energy levels, delaying fatigue and improving muscular endurance. Creatine intake increases phosphocreatine levels in the muscle tissue, which provides energy for muscular contraction during high intensity maximal effort exercise. During high intensity exercise athletes rapidly deplete phosphocreatine muscle stores and this limits the intensity of exercise performance. Creatine supplementation can increase training intensity, training volume and can lead to greater training adaptations. 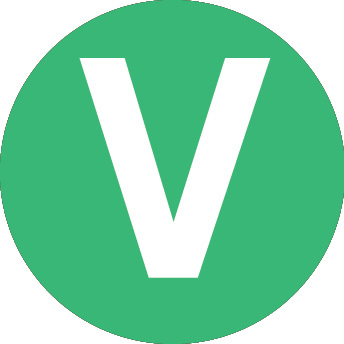 β-Alanine is a non-essential amino acid that can be found in many foods. However, relatively small amounts are metabolised and transported to the muscle cells. β-Alanine works by increasing the buffering capacity of the muscle during high intensity exercise. This delays time to fatigue allowing athletes to train harder for longer. Using β-Alanine is an excellent strategy for maximising training intensity and improving fitness, speed and strength. L-Citruline Malate supplementation can greatly improve exercise performance by increasing the delivery of adenosine tri-phosphate (ATP) to working muscles. This can also benefit athletes by reducing feelings of fatigue during exercise and improving the rate of muscle recovery post-exercise. This is suggested to result from increased clearance of ammonia and lactate after exercise which can be detrimental to recovery if levels remain high. Citrulline Malate can be particularly beneficial for athletes training hard in preparation for competitive events. Carbohydrate: CREA ACT® contains 18 g of carbohydrate (CHO). Research has shown that consuming 18 g of carbohydrate in combination with creatine increases the uptake of creatine in the muscle and enhances energy levels. Adequate energy in the form of carbohydrate is also important for optimum muscle performance during exercise. Branched chain amino acids: CREA ACT® is enriched with branched chain amino acids (BCAAs) which are protein building blocks. BCAAS may speed up the recovery process by providing building blocks to repair damaged muscle fibres post-training. BCAAs play an important role in central fatigue during exercise. Proper intake of BCAAs in suitable amounts during exercise can reduce the feeling of fatigue and may improve exercise performance. Glutamine: CREA ACT® contains 5.2 g of glutamine and glutamine peptide in a single serving. Glutamine may enhance muscular growth and improve the rate of recovery between workouts through its anabolic and anti-catabolic properties. Arginine AKG: Along with adequate protein and carbohydrate consumption, the intake of arginine has been shown to boost growth hormone after intense resistance training. The metabolic demand for arginine may exceed the body’s ability to synthesize arginine under the conditions of intensive exercise or other severe stress; therefore, arginine is considered a semi-essential or conditional amino acid. CREA ACT® contains optimum amounts of arginine for muscle growth and strength development. Nitric Oxide production is another important function that arginine intake can offer. The production of nitric oxide sends a signal to the inner smooth-muscle cells of artery walls to dilate (relax), resulting in increased blood flow. Enhanced blood flow, particularly during exercise improves the delivery of oxygen and nutrients to the muscle cells which helps to boost exercise performance. L-Leucine: Leucine is essential for the regulation of muscle protein synthesis and building muscle. Leucine is found in high concentrations in the muscle tissue, and helps prevent breakdown of these tissues during endurance and long duration training. Leucine is also suggested to be one of the most potent amino acids for stimulating growth hormone after resistance exercise. Leucine is the most readily oxidized BCAA and therefore the most effective amino acid for stimulating an insulin response. Leucine works synergistically with the other BCAAs to preserve muscle tissue and act as fuel for the body. 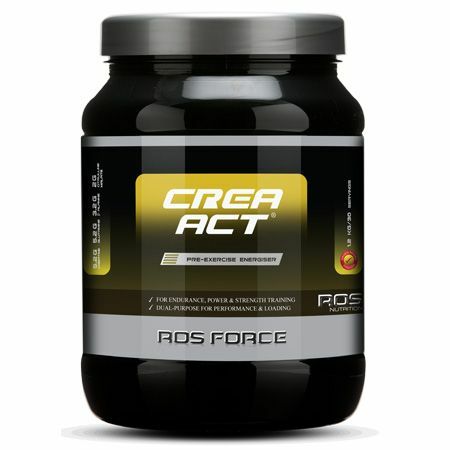 CREA ACT® is a registered trademark of ROS Nutrition Group Limited. Ingredients: Dextrose monohydrate, maltodextrin, creatine matrix (creatine monohydrate, tricreatine malate, creatine oxoglutarate, creatine ethyl ester hcl, creatine gluconate), glutamine matrix (L-glutamine, L-glutamine oxoglutarate) L-arginine oxoglutarate, L-citrulline malate, L-leucine, β-alanine, magnesium gluconate, sodium citrate, sodium bicarbonate, potassium gluconate, glucoronolactone, glycine, N,N-dimethylglycine HCL, D-pinitol, actamide, vinpocetine. Fruit Punch Flavour: Citric acid (acidity regulator), fruit punch flavour, beet root (colour), sucralose(sweetener). Anthony JC, Anthony TG, Kimball SR and Jefferson LS. Signaling pathways involved in translational control of protein synthesis in skeletal muscle by leucine. J Nutr 131: 856S-860S, 2001. Artioli GG, Gualano B, Smith A, Stout J and Lancha AH, Jr. Role of beta-alanine supplementation on muscle carnosine and exercise performance. Med Sci Sports Exerc 42: 1162-1173, 2010. Bendahan D, Mattei JP, Ghattas B, Confort-Gouny S, Le Guern ME and Cozzone PJ. Citrulline/malate promotes aerobic energy production in human exercising muscle. Br J Sports Med 36: 282-289, 2002. Buse MG and Reid SS. Leucine. A possible regulator of protein turnover in muscle. J Clin Invest 56: 1250-1261, 1975. Gallagher PM, Carrithers JA, Godard MP, Schulze KE and Trappe SW. Beta-hydroxy-beta-methylbutyrate ingestion, Part I: effects on strength and fat free mass. Med Sci Sports Exerc 32: 2109-2115, 2000. Hankard RG, Haymond MW and Darmaun D. Effect of glutamine on leucine metabolism in humans. Am J Physiol 271: E748-E754, 1996. Holecek M. [Glutamine and branched-chain amino acids--practical importance of their metabolic relations]. Cas Lek Cesk 144 Suppl 3: 9-12, 2005. Kreider RB. Effects of creatine supplementation on performance and training adaptations. Mol Cell Biochem 244: 89-94, 2003. Mok E, Eleouet-Da VC, Daubrosse C, Gottrand F, Rigal O, Fontan JE, Cuisset JM, Guilhot J and Hankard R. Oral glutamine and amino acid supplementation inhibit whole-body protein degradation in children with Duchenne muscular dystrophy. Am J Clin Nutr 83: 823-828, 2006. Paul GL. The rationale for consuming protein blends in sports nutrition. J Am Coll Nutr 28 Suppl: 464S-472S, 2009. Perez-Guisado J and Jakeman PM. Citrulline malate enhances athletic anaerobic performance and relieves muscle soreness. J Strength Cond Res 24: 1215-1222, 2010. Thomson JS, Watson PE and Rowlands DS. Effects of nine weeks of beta-hydroxy-beta- methylbutyrate supplementation on strength and body composition in resistance trained men. J Strength Cond Res 23: 827-835, 2009.
van Vught AJ, Nieuwenhuizen AG, Brummer RJ and Westerterp-Plantenga MS. Effects of oral ingestion of amino acids and proteins on the somatotropic axis. J Clin Endocrinol Metab 93: 584-590, 2008. Welbourne TC. Increased plasma bicarbonate and growth hormone after an oral glutamine load. Am J Clin Nutr 61: 1058-1061, 1995. Zajac A, Poprzecki S, Zebrowska A, Chalimoniuk M and Langfort J. Arginine and ornithine supplementation increases growth hormone and insulin-like growth factor-1 serum levels after heavy-resistance exercise in strength-trained athletes. J Strength Cond Res 24: 1082-1090, 2010. CREA ACT® works best as a pre-exercise drink for maximising energy levels before performance. For loading regimens with Creatine, Beta Alanine and Citrulline Malate, we recommend using Creapure Creatine Beta Alaline and Citrulline Malate respectively as pure products from ROS Nutrition. Take 1 Serving (1 serving = 40 g or 1 scoop) in 200 ml to 300 ml of water 15 to 30 minutes before your training or activity.